Japanese model and musician sporting a vintage monochrome ensemble while out and about on the street. 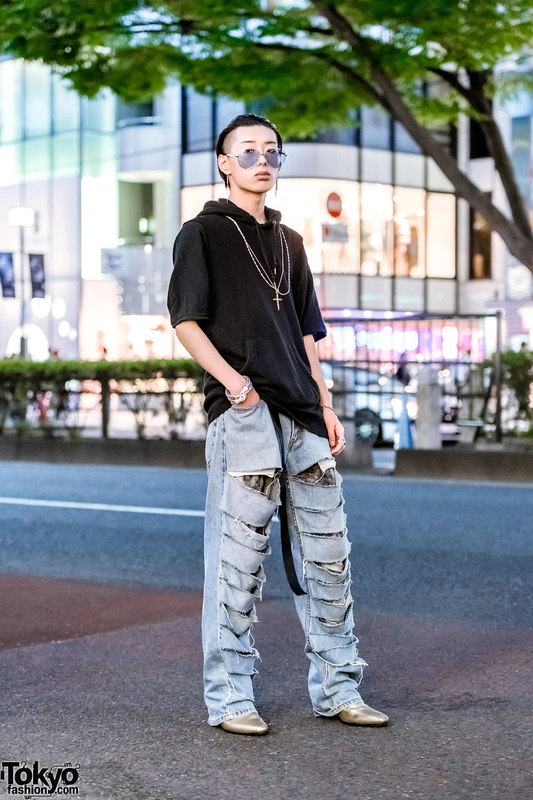 Harajuku model Misuru on the street sporting a chic edgy streetwear style while out and about. Japanese style icon Elleanor on the street in Harajuku sporting a pink-and-purple ombre hairstyle, denim jacket, and plaid skirt. Harajuku student and model showcasing a sleek look with long neon jacket, printed shirt, slit satin pants and leather ankle boots. Japanese model and student sporting an all white street style while out and about on the street. 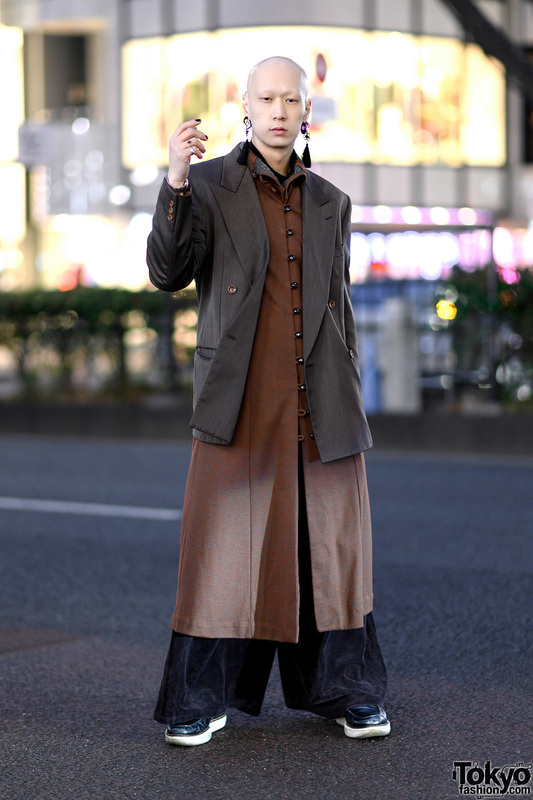 Japanese model Akira dressed in a khaki ensemble while out for a walk one early evening. Japanese model sporting a light colored minimalist style while out on the street in Harajuku.